For over 40 years, Charles Gaines has created rigorous, rule-based photographs, drawings, and prints to reveal systems of order and meaning. As a leading exponent of Conceptual Art in the 1970s, he created serialized representative images based on exacting, self-imposed constraints. 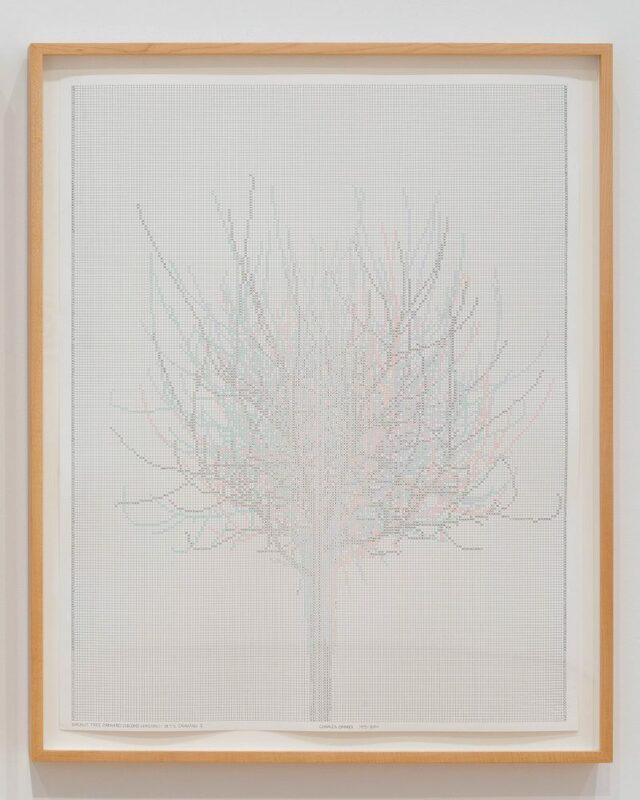 His works use dense grids of hand-drawn lines, numbers, and colors to demonstrate methodical ways of realizing forms such as trees and the human body. His arbitrary yet exhaustive processes provide alternative ways of representing universally known images, thereby investigating their visual content and potential meaning. 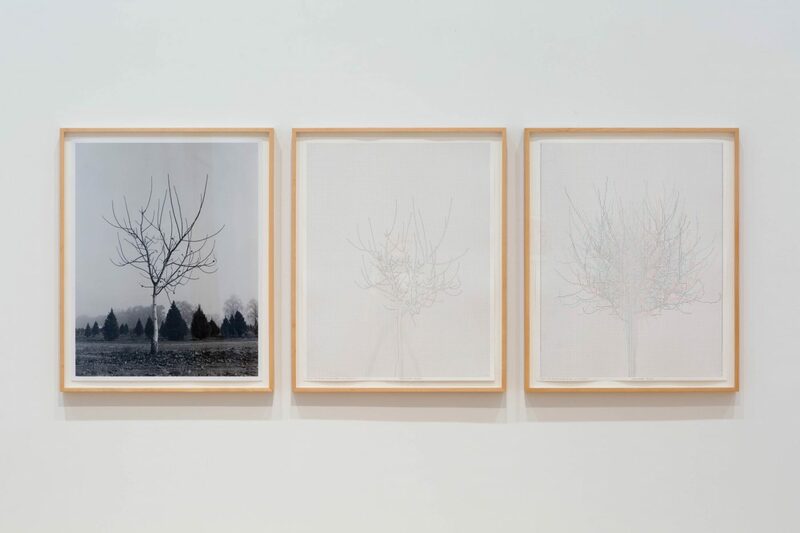 For Walnut Tree Orchard, Gaines photographed 26 barren trees in a documentary fashion then devised systems to map each organic shape on a hand-drawn grid on paper. 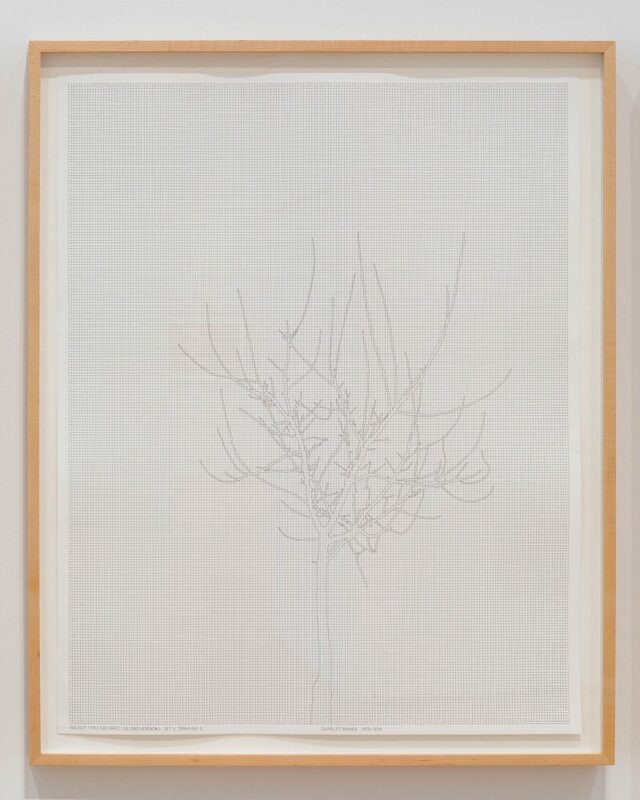 In the first drawing, the unique form is painstakingly drawn as an outline and thus generalized into an iconic “tree” in flattened space. 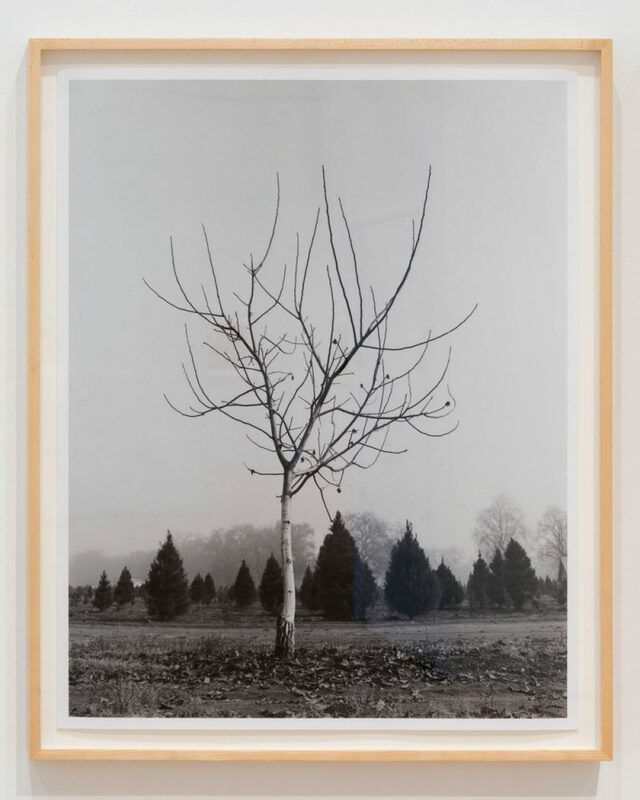 For the third and final representation, the tree is sequentially plotted with others that have come before it in the series—in this case, the ninth with the first eight. With quiet restraint, visual precision, exacting marks, and mathematical sequencing, Gaines depicts this seemingly familiar natural form with unexpected curiosity, neutrality, and richness. You must have an account to register for an event or purchase a membership.